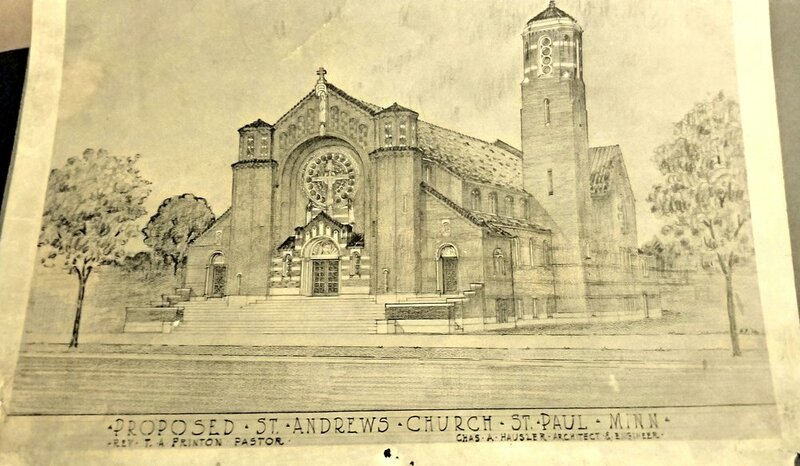 St. Paul’s first City Architect, Charles Hausler (1889-1971), designed Saint Andrew’s Church in 1926. By all accounts, he was an incredible architect and person, and his dedication to both architecture and state politics have had a profound impact on his home city of Saint Paul and beyond. 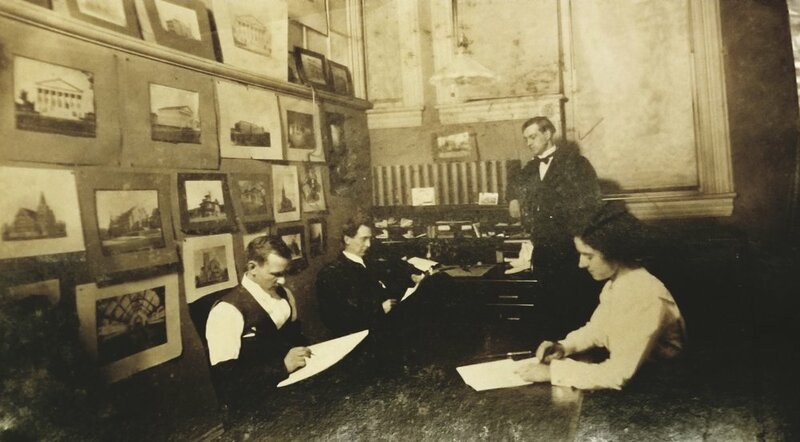 Hausler was considered the leader among architects in St. Paul, during his time period, and displayed an unusual talent. 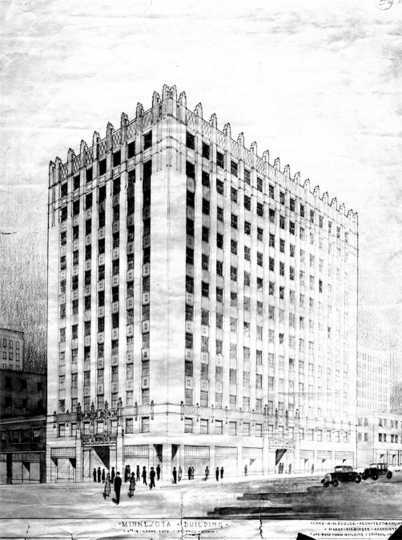 He was licensed as an architect in 1908 and was licensed in MN/ WI/ ND/ SD, MT and FL. 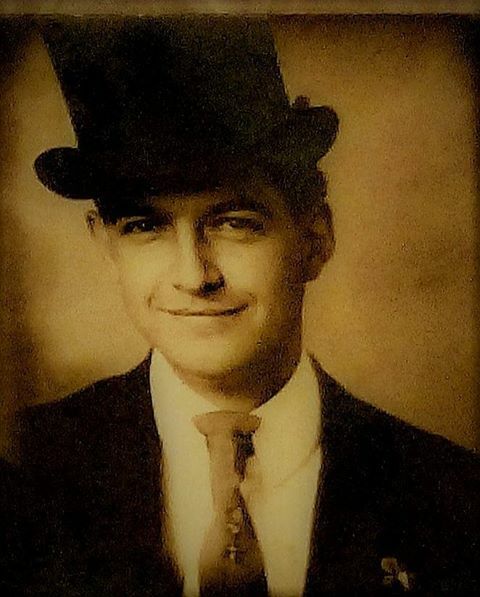 Charles Hausler’s father emigrated from Baden, Germany to the United States at the age of 20. In Hausler’s affects, almost 100 prayer cards were found, all in German. 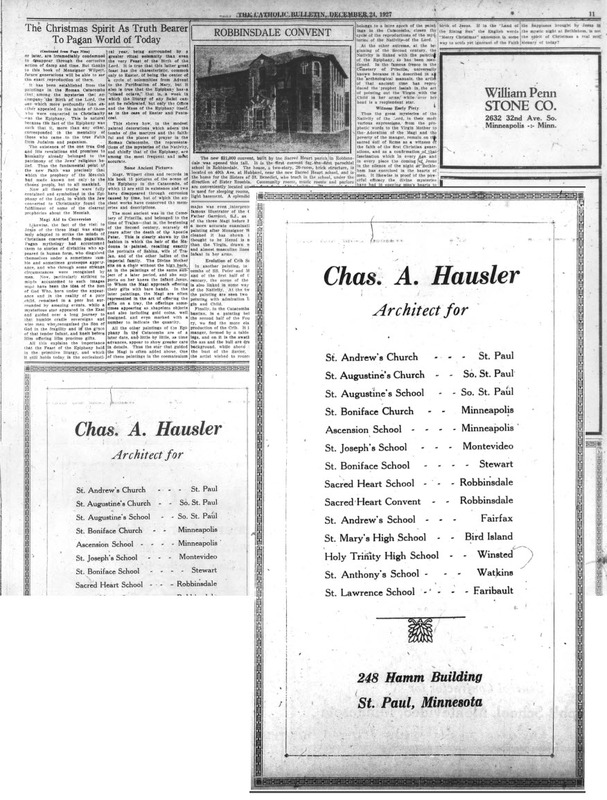 In 1914 Charles Hausler was appointed St. Paul’s first city architect, at the age of twenty-five. 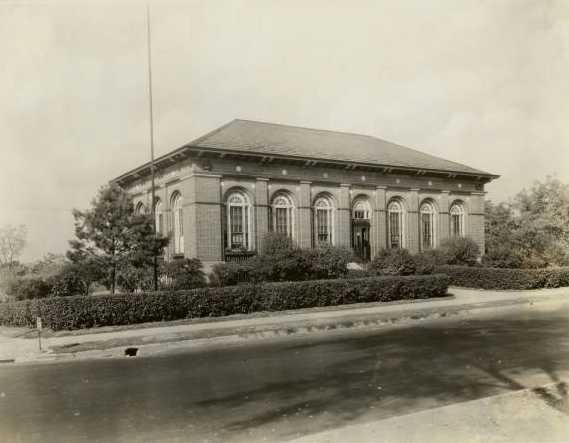 One of his first assignments was to serve as the supervising architect for the James J. Hill Reference Library. Hausler designed three branch libraries funded by Andrew Carnegie in the Classical Revival style, in 1984, they were added to the National Register of Historic Places. 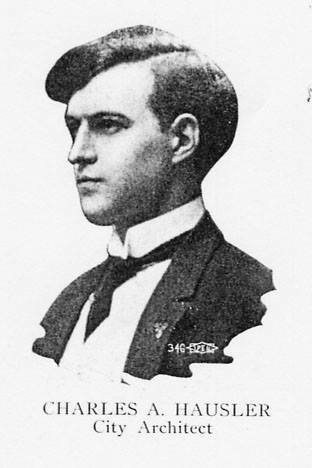 In 1915, Hausler hired Clarence “Cap” Wigington as the office’s senior draftsman. Wigington was an African-American architect and is recognized as the nation’s first black municipal architect. Hausler also appointed William M. Godette as junior architect in the City architect’s office. The Commissioner and Haulser was given credit for their ‘broadminded action’ regarding this appointment. Godette was the second African-American hired by Hausler, not a standard practice at the time. 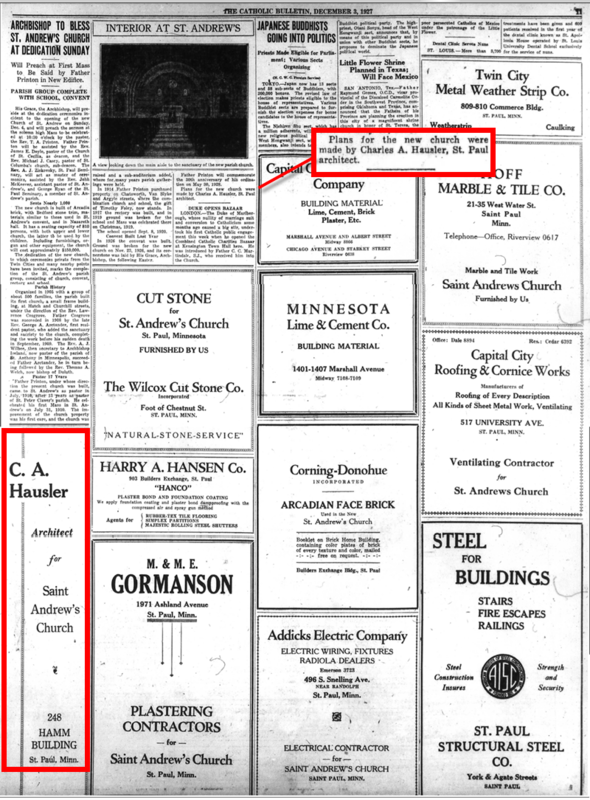 Charles Hausler, the Father of “building codes,” wrote St. Paul’s first building code in 1921. Safety was key in his designs, he preferred one-story schools because children could get out quicker in the event of a fire. He preferred concrete over steel, because steel could bend and lose its strength in a fire whereas concrete would not. 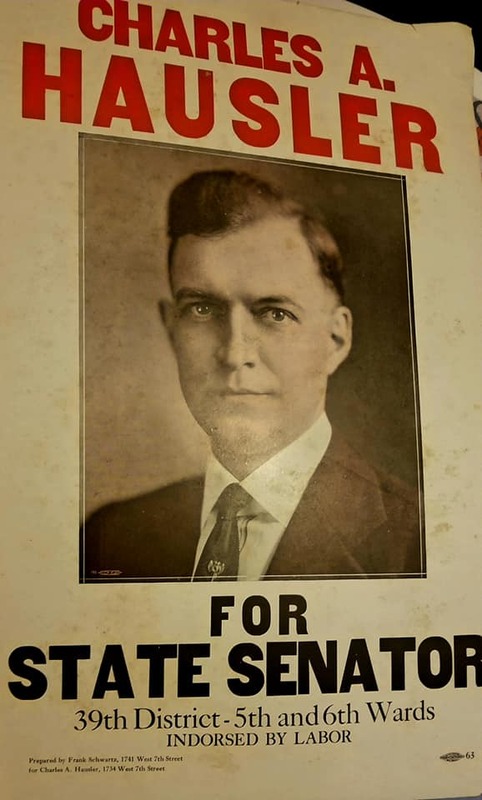 Hausler was a respected political leader and represented St. Paul’s District 39 as a member of the Minnesota Senate for 16 years (1922-1939), starting out as a progressive Republican and ending up as a member of the Farmer-Labor Party. Hausler’s architectural practice thrived while a Senator, he enjoyed success designing Art Deco buildings. Two of these—the Minnesota Building in downtown St. Paul and the Minnesota Milk Company Building on University Avenue in Frogtown—are listed on the National Register. 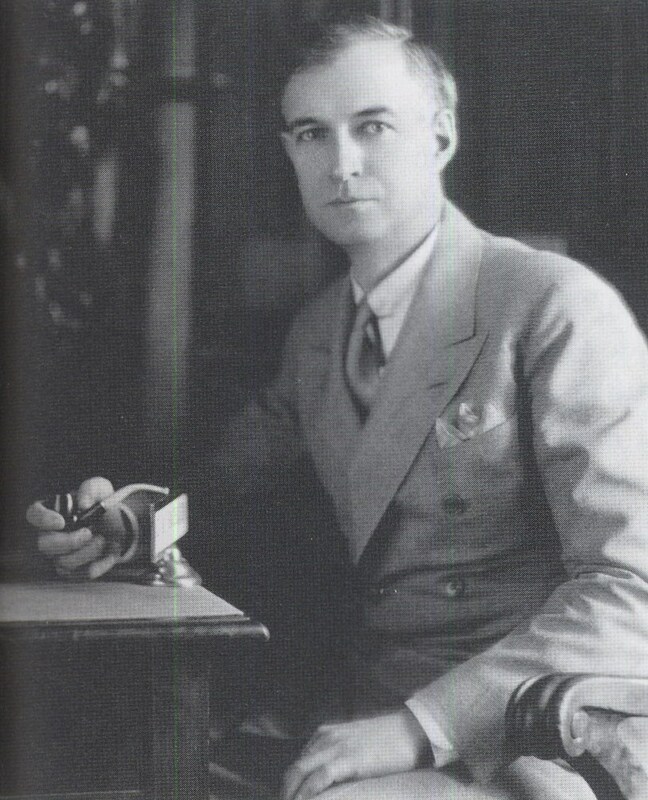 Charles Hauser served as a state senator from 1922 - 1939 when he resigned to focus on his private architectural practice. 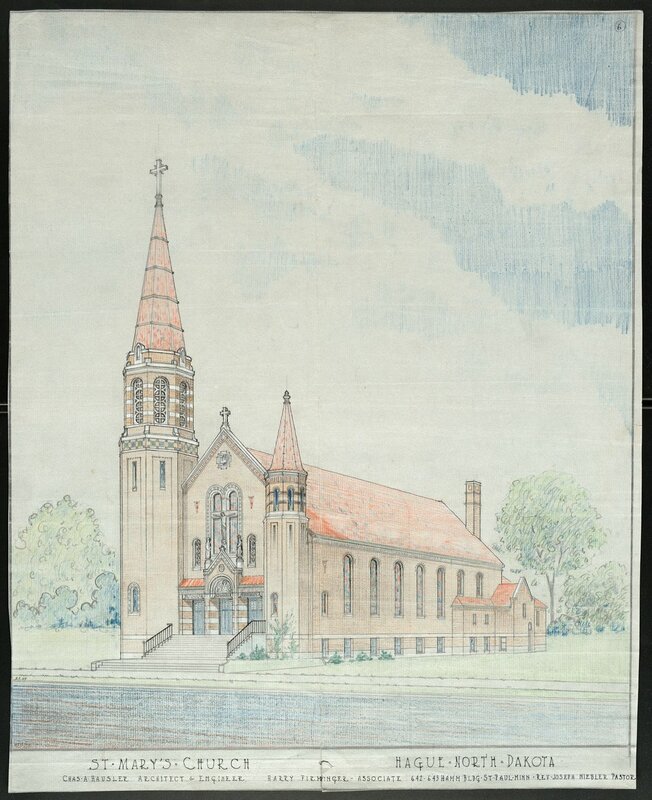 A significant part of Hausler’s practice involved churches, which he used to experiment with Gothic, Romanesque, and Byzantine Revival styles. One of these, St. Mary’s Catholic Church in Hague, North Dakota (built 1930), was listed on the National Register as part of a historic district. 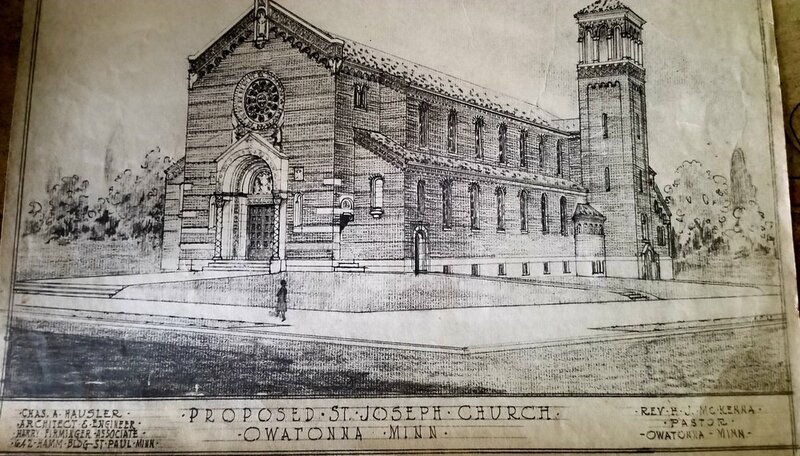 It is a Romanesque Revival building with Byzantine touches, designed for a German-Russian parish that had lost its original church to fire. Below is a collection of photos of Hausler and his building designs. Many of these come via the hard work of dedicated SHSA volunteers, who gathered these photos during countless visits to the state archives. Many have also been kindly provided by Hausler’s relatives. 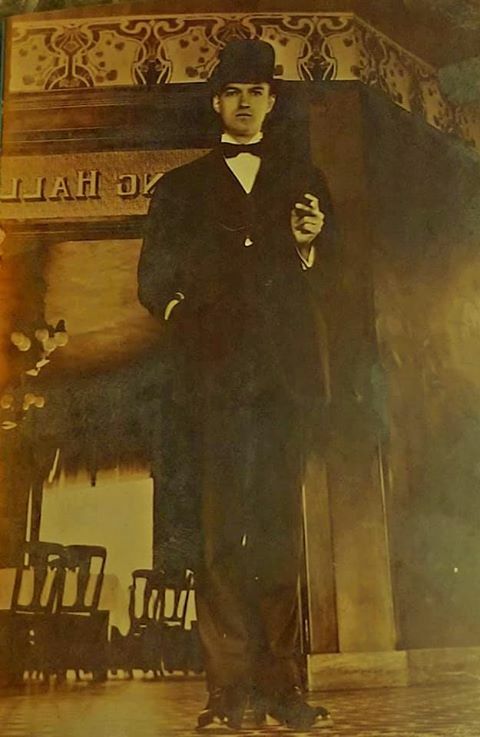 If you have photos of Hausler and his historic buildings that you would like to share with us, please contact us at savehistoricsaintandrews@gmail.com.